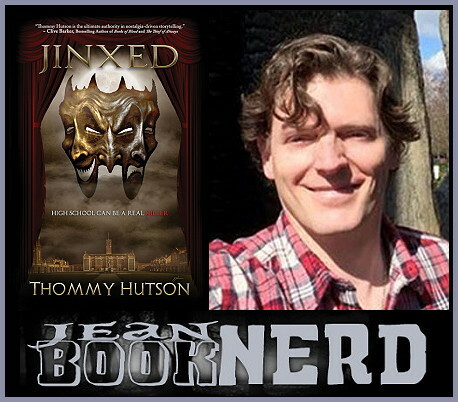 I received a copy of Jinxed for an honest review. What follows is my opinion and mine alone. There was no compensation for this review. I am a huge horror fan. I tend to lean on the psychological horror more than the physical horror, but there are days that I just need a bit more slash and a little less brain work. Jinxed is a young adult slasher fic. Not flick. The writing is easy to get into and if you like a bit of gore to your slash, this book isn’t missing out on it. That said, I found the story pretty easy to figure out. At least, for this book. From the website, it looks like there are two others in the future. I can only imagine what will happen and I’m excited to see where Hutson plans on going with his prestigious school meets murder. Despite that, there was one aspect in the storytelling that made the book a tad bit difficult for me. There are quite a few scene jumps in the chapters. It took me a bit to get used to it but once I did, I was having an enjoyable time with the narrative. The characters were interesting and I did find myself gravitating towards a few. The story also played out like a slasher movie or tv show and I can’t help but wonder if this would make for something really interesting on screen. In fact, I would propose that it does happen. I’d watch it. I could go into detail with the specific murders and the characters but to do that, I might give away certain details. Where’s the fun in that? 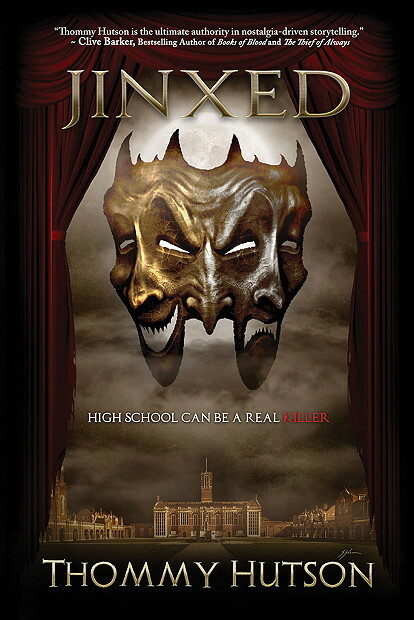 All in all, Jinxed had a level of nostalgia that is reminiscent of the ’80s and ’90s slasher movies. I would say this is a good book for anyone just starting out the horror genre or even the seasoned veterans. For me, I’ll be waiting to see what’s in store for the next one.